If you think fake news is a recent invention, let me introduce you to an archaeological site in the Firth of Clyde: Dumbuck crannog. It was investigated during Victorian times and sparked a massive national news controversy. 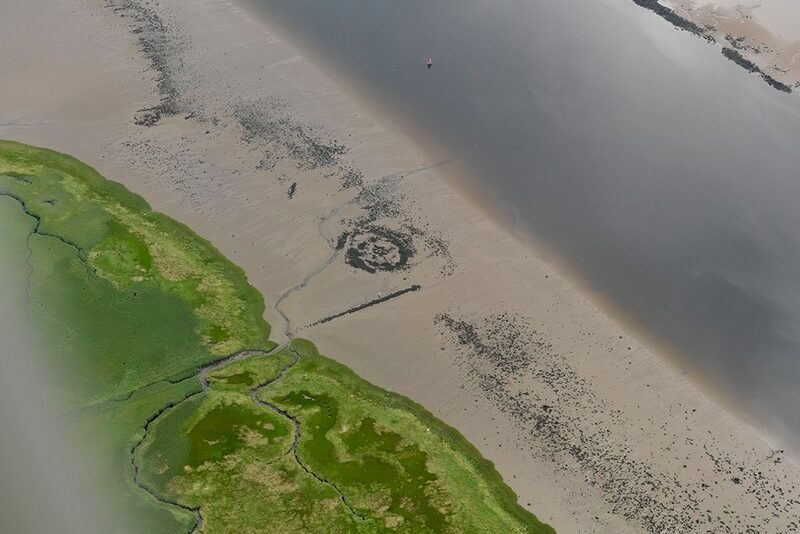 If you watch the Channel 4 programme, ‘Britain At Low Tide’ on Saturday 3 March at 8pm, you’ll be introduced to Dumbuck Crannog – the inspiration for Scotland’s first archaeology fake news story. During the programme I’ll join Jo Hambly from SCAPE and programme presenters, Dr Tori Herridge and Gustav Milne, for a visit to the prehistoric site on the foreshore of the Firth of Clyde. 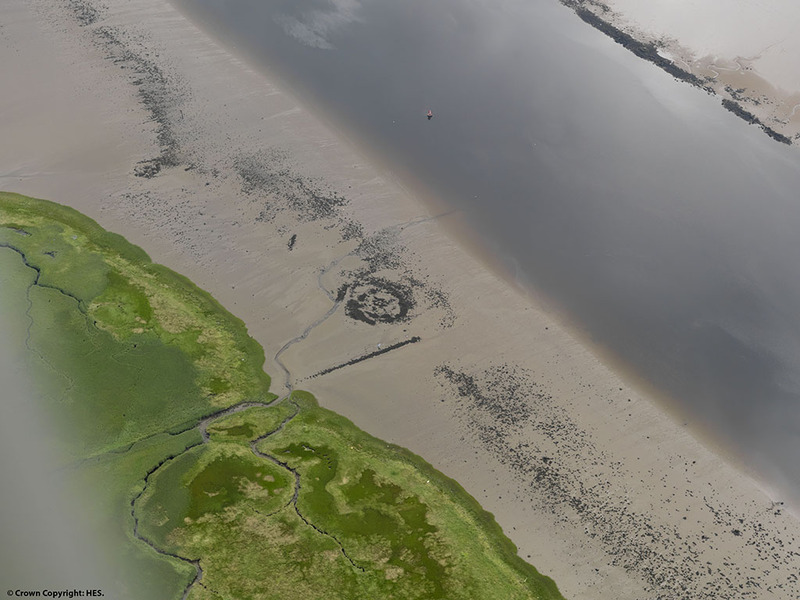 The crannog is the circular feature, just above the line of stones, that runs from the salt marsh out towards the low water channel. 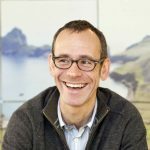 So, what’s the story behind the fake news? 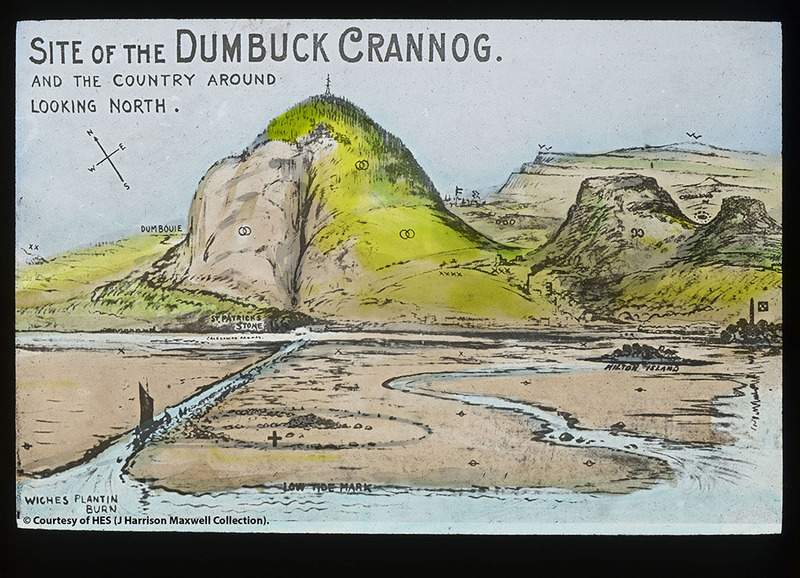 Well, it started when William Donnelly, an artist from Bowling, near Dumbarton, discovered the Dumbuck site on the foreshore of the Firth of Clyde. He was walking along the north bank of the Firth on the morning of Sunday 31 July 1898. Luckily for him, the tide was low. Donnelly noticed a circle of wooden stakes that surrounded some horizontal timbers, forming a circular platform. Over the next few months Donnelly and a team of archaeologists, volunteers and public visitors investigated Dumbuck crannog. 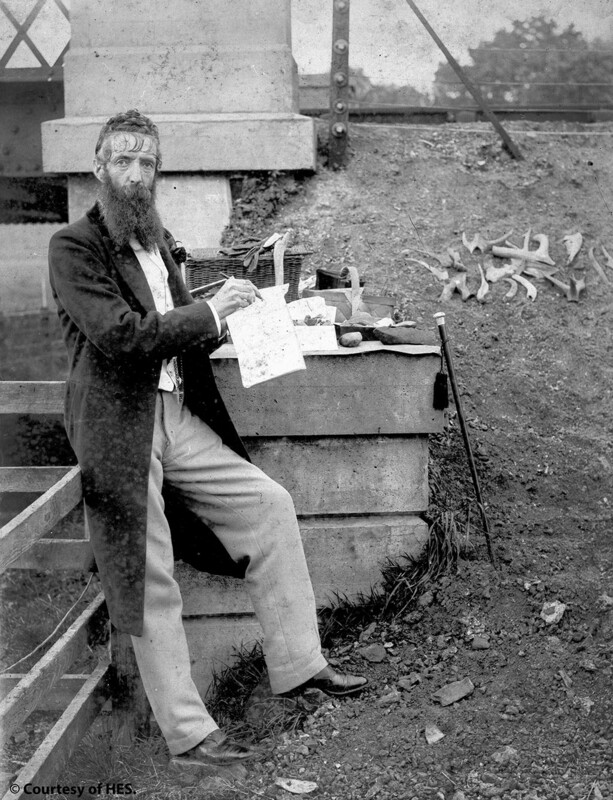 Luckily for us, Donnelly produced beautiful pen and ink sketches of the excavation. Copies are now safely cared for in the National Record of the Historic Environment (aka Canmore). During the excavations they discovered how the timbers formed a wooden platform along with a log boat in its very own dock, next to the platform. But it was a group of small, unusual objects that interested people the most. The objects were small stones and shells. Some had been carved to represent people, others had holes drilled through them. They all appeared quite out of place, according to the experts at the time. But not to Donnelly. To him, these objects represented a remarkable crannog culture on the Clyde and he wrote a number of news articles about them. 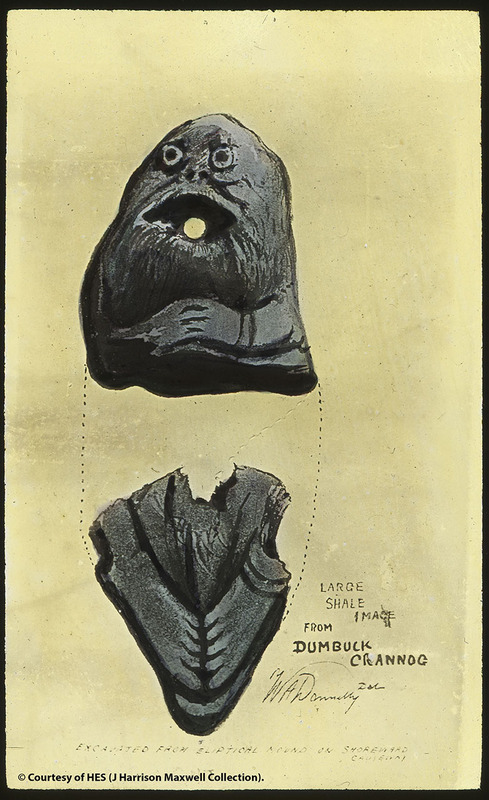 Others were more critical in their analysis of the finds, and pointed out their shortcomings. Donnelly was convinced these were real archaeological finds. Others were highly sceptical. The discussions about the objects rumbled on well after the excavations had ended. Unfortunately, the fakes (they are fakes!) caused some acrimonious mud-slinging in the national press. According to Donnelly’s son, the controversy contributed to his father’s premature death. If you’d like to know more, watch the Channel 4 programme on Saturday 3 March at 8pm. You can also read the book written by myself and Dr Rob Sands of University College Dublin. In it, we explore the 1898 excavations. Controversy on the Clyde: archaeologists, fakes and forgers uses HES archive material, from old newspapers to sketches and photographs, to recreate a diary of how the fake news story of the Dumbuck crannog unfolded. You can download a PDF copy for free on our website.